The election of 2016 was unprecedented and historic. What Happened is the story of that campaign and its aftermath. 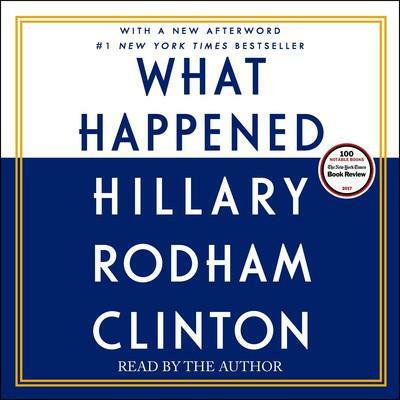 In these pages, she describes what it was like to run against Donald Drumpf, the mistakes she made, how she has coped with a shocking and devastating loss, and how she found the strength to pick herself back up afterward. With humor and candor, she tells readers what it took to get back on her feet—the rituals, relationships, and reading that got her through, and what the experience has taught her about life. She speaks about the challenges of being a strong woman in the public eye, the criticism over her voice, age, and appearance, and the double standard confronting women in politics.